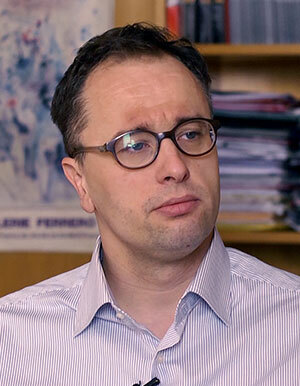 Ognjen Radonjić is Professor of Economics and former head of the Department of Sociology at the Faculty of Philosophy, University of Belgrade. He is a member of the Institute for Sociological Research, Belgrade, Scientific Association of Economists of Serbia, Belgrade, World Economics Association, Bristol, the UK and editorial board of the Sociology, Journal of sociology, social psychology and social anthropology and Limes Plus, Journal of Social Sciences and Humanities. He is the author of the book Financial Markets: Risk, Uncertainty and Conditional Stability (in Serbian, 2009) and The Eurozone Crisis: The Most Expensive Divorce in the World (in Serbian, 2016) and the co-author (with Srdjan Kokotović) of The Second Decade of Transition in Emerging Europe: The Age of Capital Inflows, Macroeconomic Imbalances and Financial Fragility (2012) and Keynes, Minsky and Financial Crises in Emerging Markets (2014). He also wrote a number of articles on macroeconomics and financial markets topics. Radonjić received a PhD in economics from the Faculty of Economics, University of Belgrade.